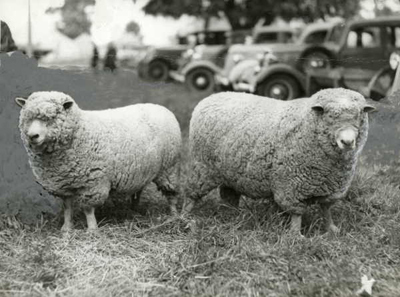 Ryelands were introduced to Australia in 1919 and are classified as an Endangered Breed by the Rare Breeds Trust of Australia and also are one of the nine heritage breeds that were the foundation of the sheep and wool industry in Australia. 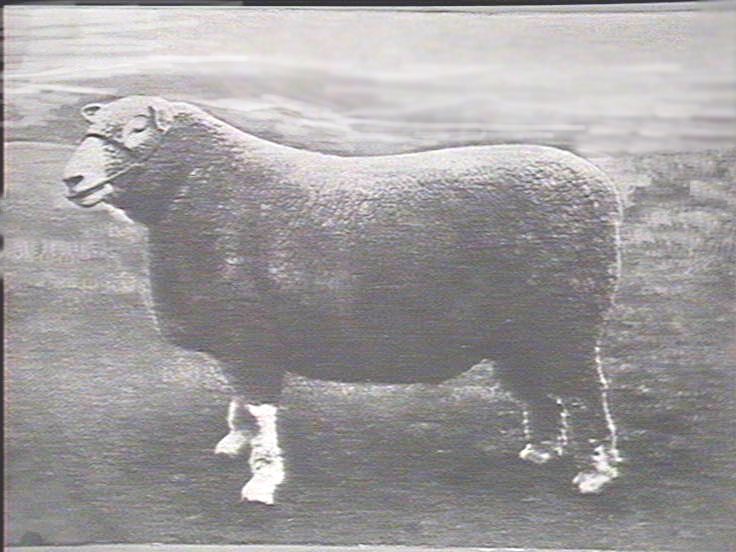 It is probable that 'Ryeland blood' was in Australia long before 1919 through the Anglo merino breed - see the History of the Ryeland. Dr Caleb Parry who was instrumental in producing the Anglo Merino by crossing the Spanish Merino with Ryelands in England was a close associate of Sir Joseph Banks. 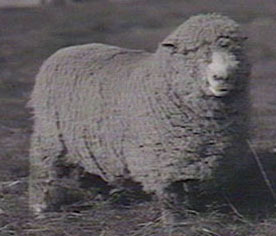 On the 31st December 1836, the total number of sheep belonging to the Australian Agricultural Company were French Merino, 4949; Saxon Merino 2866; Anglo Merino 1552; improved colonial 27,254. As with many other species of livestock, breed type has changed over the years and while some may say it is progress to alter breed type, I have always believed in the conservation of old breeds of livestock. Once they are gone, they are gone for ever and I I believe that conservation is of breed type and characteristics and not just a breed name.Some may argue that these old breeds are not as commercial as modern breeds,or improved or composite breeds. So be it. Fashions change but is that a reason not to conserve the old breeds and their characteristics? Many of the 'new' breeds of cattle and sheep now being used in commercial breeding programs are infact very OLD breeds from other countries. 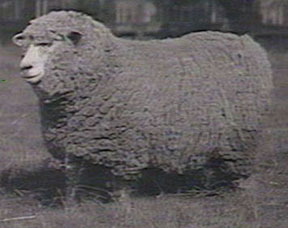 Above is the Ryeland ram Royal Lincoln -photo taken in 1919 so thought to be one of the first imports. 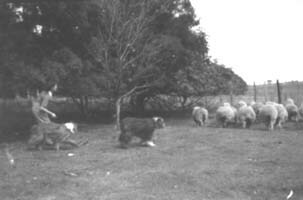 Above are photos of a Ryeland ram and ewe in Australia in 1919/20 - thought to be the first imports. 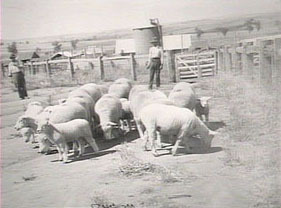 Above: Flock of Ryelands in Australia c1920s. 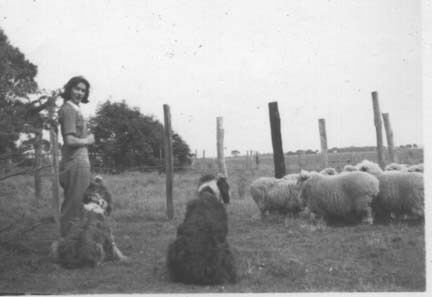 I commenced breeding dogs in 1960 and my true love was the Old English Sheepdog. I enjoyed considerable success with the dogs, both in the showring and breeding. My interest extended to researching the history of the breed in Australia and I was fortunate to obtain early records and photos of Old English Sheepdogs belonging to Douglas Picking who was breeding them in the early 1900s. He was a remarkable man who managed to keep the breed in existence in Australia through two World Wars, in days when importation meant months on board a ship with some of his dogs not surviving the journey. Inspite of his heartbreaks and considerable expenses he never lost faith in the breed. Today many of the Old English Sheepdogs in Australia still trace back to Douglas Picking's imports.Imagine my delight, when reading old Flock Books to discover that Douglas Picking also had Ryelands. I revisted his photos I have in my collection and, sure enough, there are his dogs with Ryelands. These dogs in the photographs below were imported in 1948 as youngsters so it is probable that the photos are c1950.